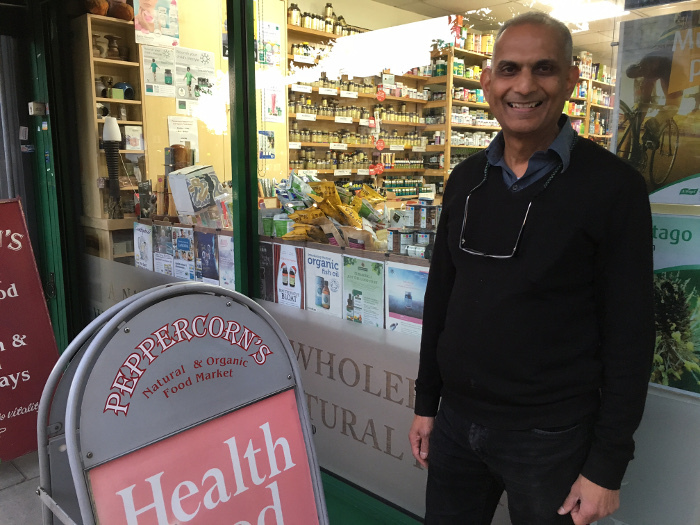 Health food store Peppercorns used to be located opposite the tube station, but when Ballymore began construction of West Hampstead Square, it had to move. Now it’s up by West End Green. 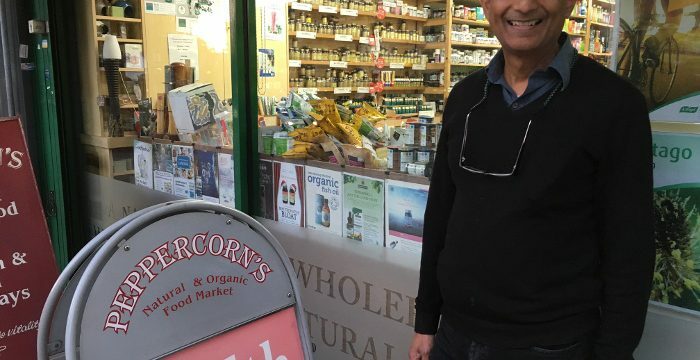 We spoke to the owner Mukesh Patel, who has been there for 20 years. He runs it with his brother Nilesh, who joined him in 2002. What brought you to West Hampstead? 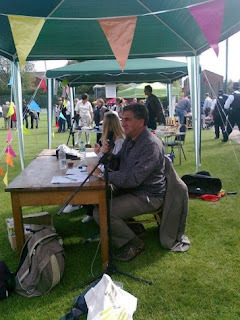 I had been working in the area since 1982, down on Belsize Road. I had a newsagents and nearby there was a health food store called Abundance, which sold natural foods. I thought it would nice to work in a business like that, that you really care about. How did I end up at Peppercorns? It was started in 1982 by the Steeles, a New Zealand couple. She was the first person in the UK to import Manuka honey and by the mid-90s they were expanding the wholesale side of the Manuka business. In 1996 they put their two health food shops up for sale; one in Hampstead and one in West Hampstead. I happened to be reading Dalton’s Weekly and saw this health food business for sale – in West Hampstead! It was local, I was interested so I came to check out the place – with my bank manager. What is your first (fondest) memory of the area? I can’t remember, it’s that long ago! I remember that Abundance sold muesli by the kilo [Ed – or lbs as was then], which I saw when I went in to buy my veggie lunch. What’s surprised you about how West Hampstead had changed? I remember passing down West End Lane and it was a bit run down. There was Atlanta and Jenny’s burgers where Nando’s now is. It was quite down-market, but it has really gentrified. The arrival of the big chains does make it a bit like every other high street, a bit of a monoculture. The worrying thing is that it really makes it difficult for the independents to pay the rent. Gail’s probably paid a bit over the market rate but other landlords see that and think they can raise the rents they charge. Independents can’t survive if they can’t afford to pay the rent. I buy my own ! We have loads of healthy, vegetarian takeaways. If I don’t eat here I used to go to Dylan’s or sometimes to Bella Luna who do a very good pasta lunch special. West Hampstead in three words?